In the spirit of healthy eating, as I work super hard to promote and follow, I thought I’d try something that little bit different this weekend because how boring would it be if we just stuck to the same thing over and over again? 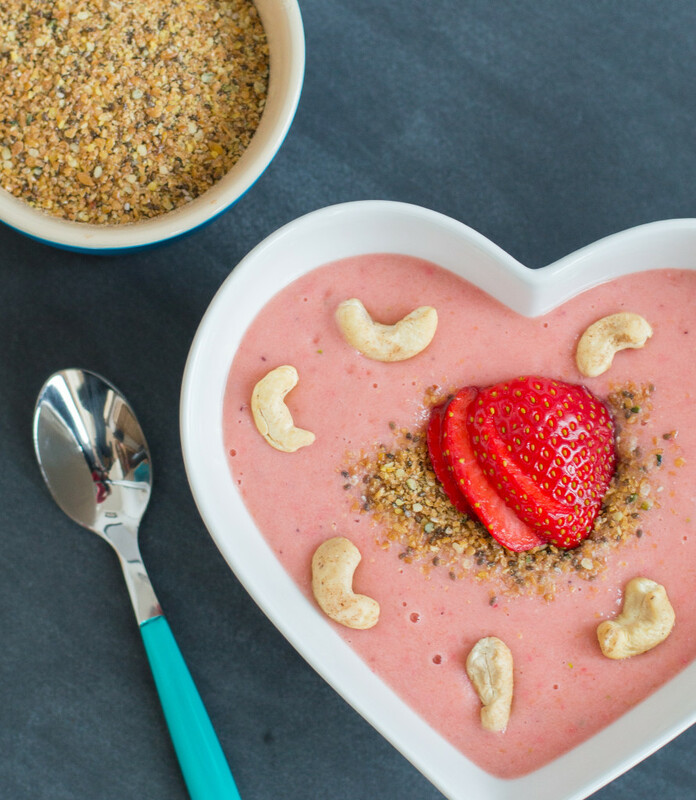 I teamed up with FoodByHelen to bring you a first for Food&Fitness Always: a Breakfast Smoothie Bowl. This was a completely new concept to me but wanted to give it a go as in the past all I’d ever been used to was putting my smoothie in a glass and drinking it, however the idea of eating it with a spoon made total sense as it’s pretty difficult sucking up a cashew through a straw! 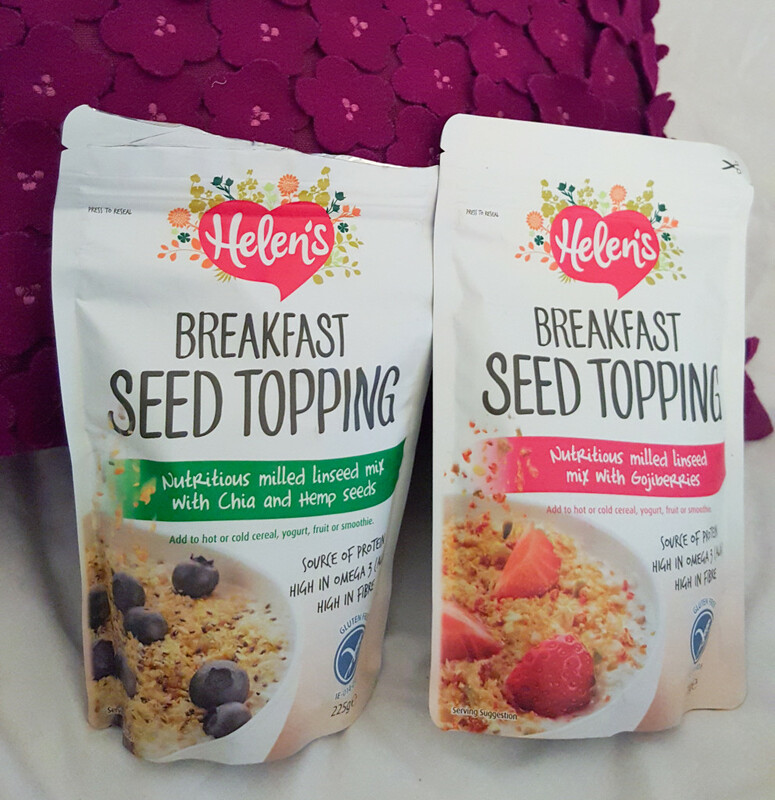 I used Helen’s Breakfast Seed Topping as part of this recipe because it contains ingredients that are great for digestion, as well as providing you with a good source of protein and a great deal of fibre too. It also tastes great and adds a real crunch to any sort of smoothie or cereal. All you need to do is add 2 tablespoons, it’s very straight-forward and practical for anyone looking for those added health benefits. The rest of the smoothie bowl is packed full of your 5-a-day with a really delicious bunch of my favourite fruits that I’ve topped off with some additional cashews to make it even more filling before your next meal. It can be eaten as a snack between meals if you’re feeling hungry and don’t want to be tempted by that chocolate bar or bag of crisps, or at any other time of the day for that matter! Enjoy! Place the strawberries, mango, yoghurt and water into a blender. Blend for around 10-15 seconds until the contents are smooth. Pour into a large enough bowl. Add the seed topping, along with the cashew nuts (if using) and serve.